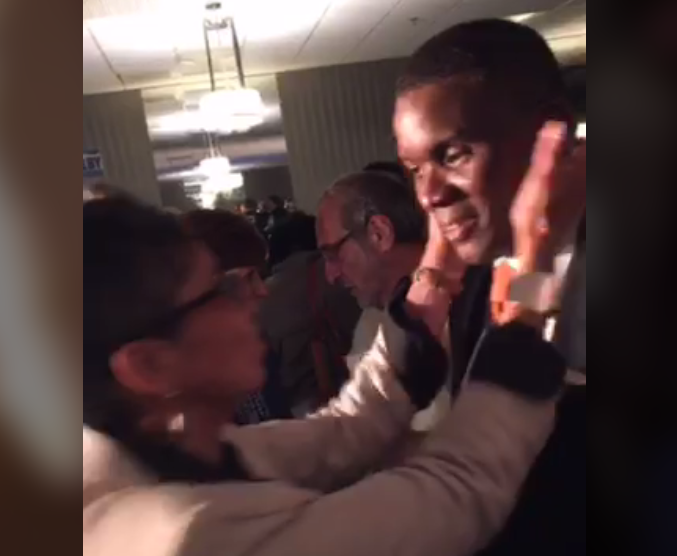 A supporter congratulates Corey Ellis on his primary win. Mayor Kathy Sheehan greets supporters at the Democratic primary watch party in Albany. "It is a great day for Albany, it is a great day because we've re-elected Mayor Kathy Sheehan. All right. Not only that, we're gonna have a new Council President, Corey Ellis." City Treasurer Darius Shahinfar acted as master of ceremonies primary night at the incumbent’s watch party. With the primary victory in the heavily Democratic city, Sheehan, who garnered 51 percent of the vote, all but secured a second term. "When we come together as a city after this Democratic primary, it's really important that we remember we have to ensure that we are here for our residents. That we continue the hard work that is needed. We've got an uphill battle, given the climate in Washington. And so, after a campaign that I'm really proud of, because I believe we put on a strong, positive campaign. It was about a record of accomplishments." Common Councilor Frank Commisso Jr. received 32 percent and outgoing Council President Carolyn McLaughlin 15 percent according to unofficial results. Commisso, who has the Independence Party line on November’s ballot, tells WAMC he'll be getting together with family, friends and supporters over the next few days before deciding his next move. 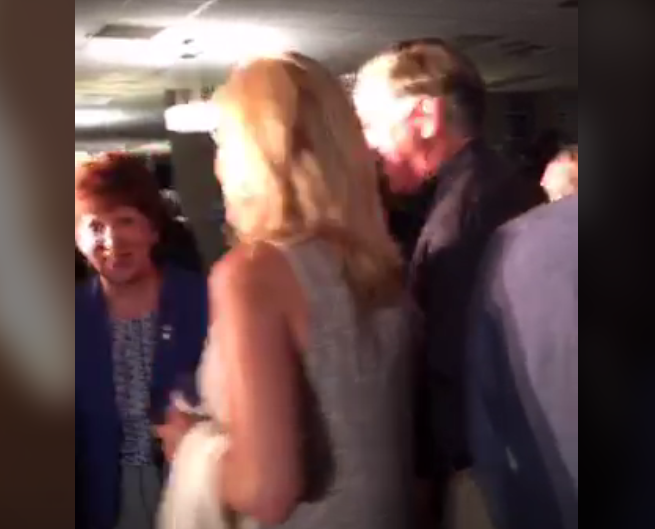 McLaughlin thanked supporters at her campaign headquarters on South Pearl Street, as captured by NewsChannel 13. "And I will encourage each one of you to find your spot and continue to do that, because this place needs help." The primary results validate two Siena College Polls that showed Sheehan going into the primary with a significant lead over her two opponents. The accuracy of the polls’ findings had been questioned by McLaughlin in the last days of her campaign. McLaughlin tells WAMC that she plans to rest awhile before deciding whether she'll make another move politically. Meantime, Sheehan says her vision for the city will go forward, unified under Democratic values. "I stand for the values of inclusiveness. I stand with our immigrant community. I stand with our African-American community. Our Latino community. Muslims. Jews. All ethnicities. The LGBT community. And so we have to come together now, as Democrats and forge ahead." Ellis won a three-way Democratic primary for Common Council president. The citywide victory is a bit of vindication for Ellis, a former two-time mayoral candidate. "It is about the people for me. It's very humbling. A gentleman yesterday said, 'Mr. Ellis I'm gonna vote for ya. Don't let me down.' And I'm not gonna let Albany down." 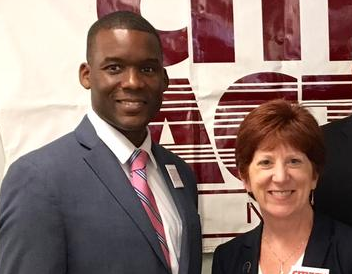 Ellis pulled in 51 percent to Chris Higgins' 33 percent and Mark Robinson's 13 percent. Robinson still has a shot: he's on the conservative Party line in November. Primaries for common council seats swept incumbents Leah Golby, Ron Bailey and Judd Krasher off the Democratic line. In the Green Party mayoral primary, Dan Plaat squeaked by Bryan Jiminez by two votes — 17-15. "Because we put party before personalities, me and Bryan will be working together, going forward in the next two months, to make sure that our campaign is as successful as possible." Come November, Plaat will face off against Sheehan, along with Conservative Party hopeful Joe Sullivan and Margaret Trowe, a member of the Socialist Workers Party. A New York state senator will face incumbent Republican Rob Astorino in the November election for Westchester County executive. 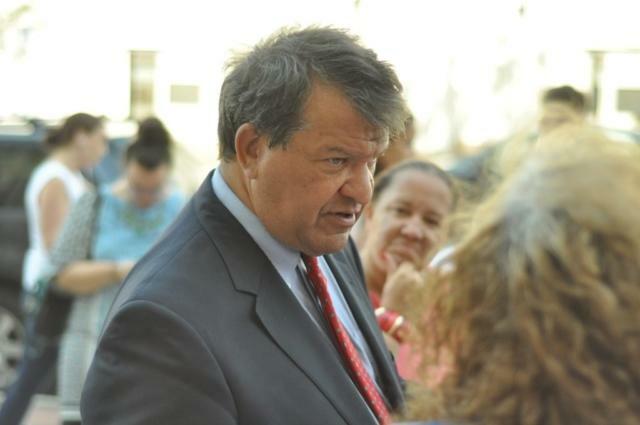 Democrat George Latimer won his party’s primary with 63 percent of the vote on Tuesday. 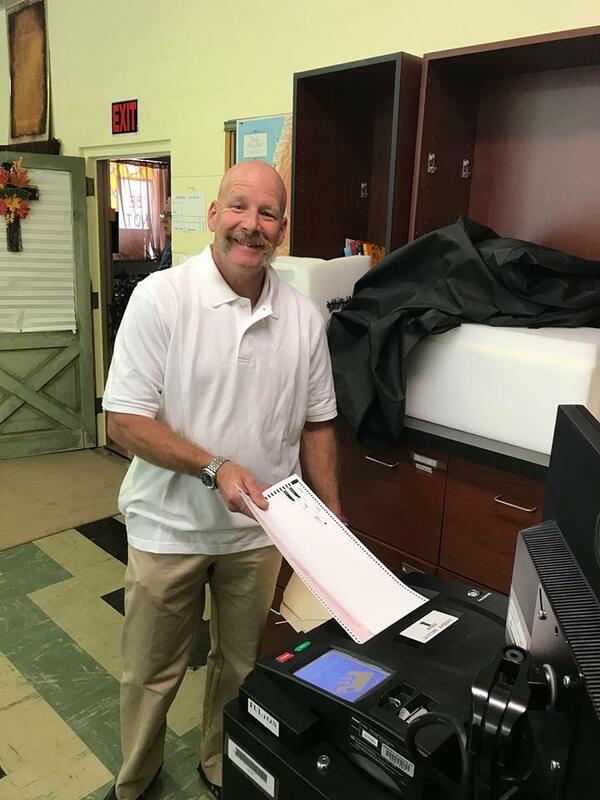 The Republican primary for mayor is over in the City of Gloversville, but the campaign between the two candidates on the ballot will continue into the fall. 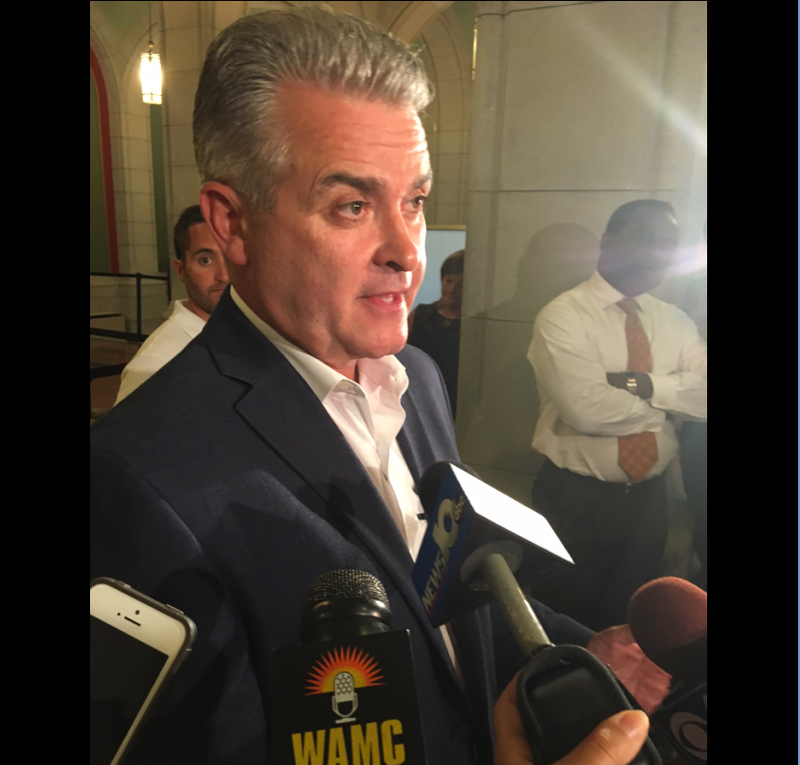 State Assemblyman Steve McLaughlin declared victory in the Republican primary for Rensselaer County Executive. However, Deputy County Executive Christopher Meyer isn’t ready to concede. At last count, McLaughlin leads 2,708 to 2,369. McLaughlin also leads 537 to 503 in the Conservative primary. There are also nearly 700 absentee ballots.